From vibrant corals to a range of fish species including ethereal-like manta rays, the Maldives offers one of the best snorkelling destinations on the planet. Here’s your chance to enter this whole new “world”. Snorkelling in Maldives can be pretty much enjoyed all year round while at your Maldives resort; however January to April is a particularly great time for this activity since the waters are clearer and the weather at its best. Do keep in mind that the weather from May to September can be less predictable. 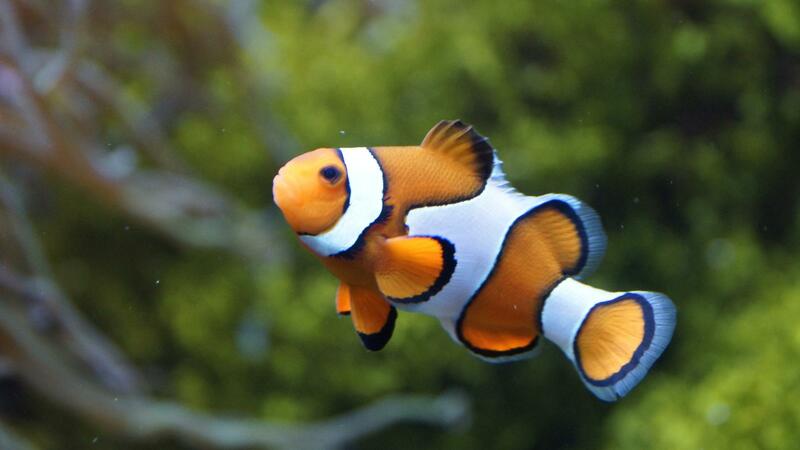 In search of Nemo & Co.
Be it clownfish (Nemo! ), bannerfish, powder blue tangs, fusiliers parrotfish, butterflyfish or hawksbill turtles, the ocean surrounding the Maldives offers much to see. Resorts the likes of Anantara Dhigu Maldives Resort have reefs nearby providing the ideal chance to get up close to this marine life. Of course, there are certain marine creatures that add to the excitement of a snorkelling adventure; graceful manta rays, unhurried whale sharks and stealthy blacktip reef sharks swimming in their natural habitats are sights that are certainly unforgettable. Marine life aside, you can also look forward to seeing a stunningly vibrant array of corals on your snorkelling expeditions; staghorn, finger, brain and table corals are amongst the varieties that can be spotted here, each adding to the charm of this underwater spectacle. Maldives is one of the most popular tourist destinations for beach holidays and water sports. Windsurfing is one of the more popular water sports in Maldives which combines sailing together with surfing. Maldives is the ultimate destination for water sports. The lovely strong winds, the turquoise waves and the year-round sunny weather present the perfect conditions for the sport. Maldives is an island nation that comprises of 26 atolls made of over a thousand coral islands. Choose to stay at a Maldives luxury resort the likes of COMO Maalifushi, The Maldives which offers this activity and a great option to consider since it has a windsurfing course for novices or those looking to get reacquainted with this thrilling recreational activity. The equipment needed for this activity is not complicated at all and once you have got the balance mastered and learn how to navigate, you can be skimming the surface in no time. Beginners can go anytime. As the sun is always shining, suitable wind conditions can be found somewhere around the collection of atolls. If you are a skilled surfer and are looking for something suitable for your skill level, though, things get more selective. The best time for you to visit would be from May to October. Posted in Activities, Surfing	| Tagged COMO Maalifushi The Maldives, maldives, maldives luxury resort, Windsurfing in Maldives! Anyone who ever plans to visit Maldives will surely have diving in mind, it is one of the must try activities on the islands. Diving in the Maldives is an extra ordinary experience as the clear blue waters let you see every colour and beautiful coral reef the seabed has to offer. Planning your vacation with travel agencies like Maldives Resorts Club lets you put together the perfect holiday activities for your tastes, be it a lazy day lounging by the beach or having thrilling adventures. Literally, every island in Maldives will have a diving spot around it, and of them, all the greatest dives are at the Fotteyo Kandu, Kuredu Express, Okobe Thila, Kandooma Thila, Broken Rock and Kudarah Thila. These sites have some of the most vibrant fishes and are home to both soft and hard corals respectively. The water is not chilling and the temperature stays around 27 degrees throughout the year. Diving can be done during all the months except the monsoon periods and during the sunnier days, the visibility under water can up to an impressive 70 feet. Manta rays, tuna, eagle rays, a variety of sharks and more pelagic animals can be found in the open ocean near the reefs. Maldives is a group of islands that are surrounded by crystal clear azure waters that are teeming with a rich variety of marine life. To explore the beautiful life below the seas, diving and snorkelling is always the more popular options as it allows you to discover the marine life at your own pace. However, for non swimmers and those who have an innate fear of swimming in the sea, this can be problematic. In Maldives, all inclusive hotel excursions feature a variety of water sports and activities, like diving and snorkelling, that will keep you entertained and busy during your entire holiday, such as those offered at Maafushivaru Maldives. Travelling with little kids can also mean that they won’t be able to experience the beautiful life that lives under the glistening waters of the Maldives, but fear not! The German Whale Submarine, the first of its kind, was created to allow anyone and everyone a once in a lifetime opportunity to explore the diverse population of sea creatures. This submarine that was invented by the Germans and can hold a total of 50 passengers is believed to be the largest deep diving submarine that’s used for tourist activity. The submarine initially dives to a depth of 25m, then 40 meters and finally up to a depth of 150 metres. Each of the three stops promises you a completely different view of the sea, without ever getting wet! Each tour will be accompanied with an expert guide in marine life who will be point out the various species you come across, such as lionfish, anemone fish, parrotfish, eels, manta rays, sting rays, sea turtles, butterfly fish, whale sharks, grey reef sharks, white tip sharks, eels and many more! So keep your eyes peeled for the exotic marine life. Some submarine tours even allow for night dives. The wealth of sea life in the Maldives makes it one of the top diving destinations in the world and one of its biggest underwater attractions is the manta rays. Getting the chance to swim with manta rays is one of the most memorable experiences you can have; they move so gracefully, almost like an aquatic ballet, gently soaring through the tranquil blue waters. Growing up to 9 meters wide, these exotic looking sea creatures assemble in large numbers annually, between May and June in several locations around the Maldives, even swimming quite close to numerous Maldives Resorts and hotels. The manta rays gather here to feed on the abundance of plankton and can be seen at “cleaning stations” near reefs, where the small cleaner wrasse fish remove parasites and clean gill cavities. Most of the luxury resorts here, like the Anantara Kihavah Maldives Villas, offer special snorkelling and diving excursions to watch the manta rays in their natural habitat. It’s not unusual to sight large schools of over 100 manta rays feeding in the shallow surface waters. These extraordinary feeding masses are unique to the Maldives and are considered one of the world’s most remarkable natural underwater events. Manta rays are naturally inquisitive creatures and are not bothered by human presence; they may even approach and swim around you, that is if you can control your enthusiasm and stay still for long enough to enjoy the spell binding sight. However, be warned, in areas heavily frequented by divers, they have become very wary and won’t come near you but you can still enjoy the sight of them swimming around. If you’re lucky enough to experience the truly magical feeling of being in the midst of these beautiful sea creatures as they glide through the water, consider your Maldivian retreat well spent. Maldives is sure to be on most people’s travel bucket list. The island’s surrounding waters are one of the main reasons for most of the tourist to make their way down to this paradise island. One of the reasons for many people to visit the island is to stay at an Maldives luxury hotel as the accommodation itself can turn out to be quite an experience. Among the various resorts that have come up here one that has managed to earn a reputation for itself among its guests is, Cocoa Island by COMO, Maldives that offers 33 over water suites. Alimantha is one of the government-sanctioned lists of dive sites in the Eastern part of Maldives. The surrounding waters of the island are an excellent place to go diving and explore the abundant marine life of Maldives. There are dive centres that organise full day as well as half a day tours into the Ocean. There are also night dives that are organised off the shore of Alimantha, which is a once in a lifetime experience. The reefs around the island are also a spectacular site not to be missed. Alimantha is often listed in the must visit places in Maldives. There are also water activities offered by the sports centre located on the island. Perfect for all those adrenaline junkies. There are plenty of other places to visit while in the Maldives such as Hukuru Miskiiy which is the Old Friday Mosque located in the capital Male. As well as the national museum that is located in the capital. Apart from that sitting and watching the waters sweep the shore from your recliner itself is a great experience!.